There are many countries that have prohibited using and growing of marijuana and cannabis, many experienced gardeners decide to adopt guerrilla growing techniques and methods as a way of growing their own smoke, buds or medical marijuana. By employing discreet techniques, designed to help reduce the risks associated with being caught, guerrilla growing is often outdoors during the complete growing season, using different strains and a wide range of proven methods and techniques adaptable to your location. Guerrilla growing methods have become common in large parts of the world, including the The United Kingdom, Canada and the United States of America to name just a few. The general demand for good quality cannabis and medical marijuana has increased, so has the number of guerrilla growing operations. Even growers in some of the more tolerant, marijuana-friendly states, cannabis gardeners are restricted on the amount of plants that can be legally planted and grown, often prohibiting planting your own marijuana completely. 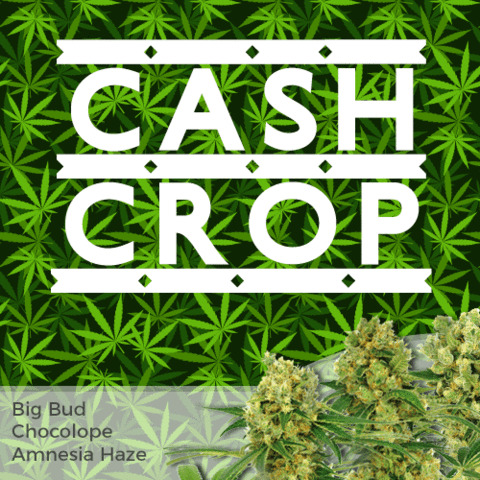 With large areas of the USA, offering good conditions through the Spring, Summer and early Fall, growing marijuana outdoors can be cheap, simple and highly profitable and rewarding, with many strains capable of creating large plants with heavy and abundant harvests. If there is a demand, there will always be supply, and whether it’s against the law or permitted, many marijuana growers employ guerrilla growing methods as a means of reducing the risks of being caught, while still generating their own plants and good quality marijuana or cannabis buds. For the majority of gardeners, guerrilla growing reduces the chances of found possessing, or cultivating marijuana. While many states across the United States of America permit it’s use, many don’t, and growing marijuana is generally very restricted. Growing marijuana in the United Kingdom is is prohibited and totally illegal across all parts of the country, and although there are less open spaces as there are in the USA, guerrilla growing methods have been adopted there as well, often in some of the cleverest places, including an unused, old nuclear bunker. There are several guerrilla growing methods, and it can take many different guises, even though growing marijuana plants outdoors, away from your home and land, and in a secluded and remote area is usually the most used and known technique, there is a range of different means of guerrilla growing marijuana plants, adopted all across the world, from single outdoor planted seeds, through to much larger, more commercially based operations and ‘cash-crop’ enterprises. 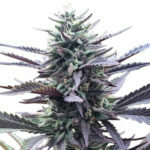 From large, commercial set-up’s, down to the simple beginner who want’s to grow a few, high quality buds for themselves, the art of guerrilla growing marijuana stays the same, reducing the risks associated with being arrested for growing marijuana in the USA, or any other country where growing marijuana is against the law. 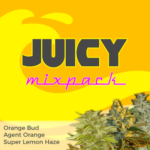 The location has been chosen and your selected marijuana seeds have arrived, every purchase ordered from our website comes with free, stealth assured and guaranteed delivery to all parts of the USA, as well as the guaranteed of all our recommended seeds, reducing the stress that can be caused by lost orders and deliveries.. It may be perfectly acceptable to plant the marijuana and cannabis seeds directly into your pre-prepared area, many experienced growers preferred to germinate and start their seeds prior to planting, using the advised and established methods given in the free downloads available. Planning is an important part to a good harvest, prepare the area and dig the soil and make sure it’s good enough for healthy root development, and perhaps leave a handful of coins around the vicinity. If the coins or objects are still where you left them on subsequent visits, it may be safe to assume you’ve selected a good location. Don’t place the plants in straight rows, nature doesn’t do, and generously water the seedlings and remember to make sure all containers, wrappers, and signs of activity are removed, and the plant’s are disguised and camouflaged as much as you possibly can. Visit the guerrilla growing site as little as possible and do not tell anyone that you are growing marijuana, and never let people know the location. 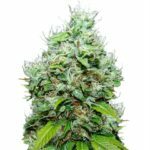 The plants can need a lot of water and nutrients throughout both the growth as well as early flowering stages, this is particularly true of the larger, season-long female seeds and strains. Try to approach the plants using alternative directions, varying the times you visit them, if there are people in the area, keep away, and return later, checking that the area is deserted. Change the day’s and times that you visit your guerrilla growing set-up to water them, should there be any people close to your growing area, keep well-away from your grow, returning at a later time to avoid arousing suspicions. Bugs, pests and mold and root infections may become concerns for the marijuana guerrilla growers, with each different problem capable of destroying the plants at various stages of their lives. Defending your plants against the majority of common issues and problems requires several formula’s during different stages of their lives. 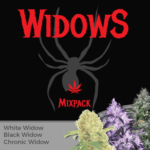 I Love Growing Marijuana’s three pack Protection system have been created specifically to defend against a lot of the most common problems faced by both outdoor and indoor marijuana growers, as well as being recommended by many customers for all guerrilla growing operations. Germinate your marijuana seeds and allow them to become small young plants prior to taking them to the outdoor growing st up. Check on your chosen guerrilla growing area several times before starting your grow, and prepare it beforehand but keep the security in mind. Keep the growing location to yourself, discretion is key and the less people that know what you are doing, and where, the better. 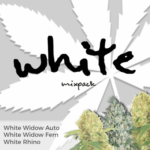 Protect your plants from the most common animals, mites and molds that can destroy your crop using a variety of proven plant protection formulas.